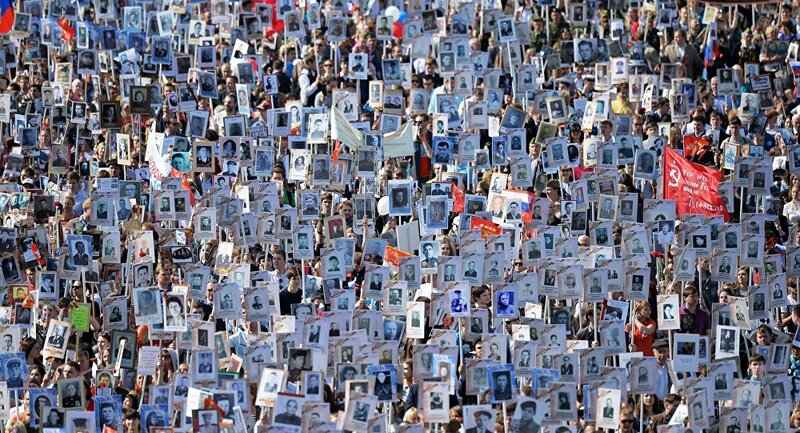 CHISINAU (Sputnik) — The Immortal Regiment is a patriotic initiative that commemorates those who fought against Nazi Germany during World War II in marches held across Russia and other countries on May 9, celebrated as Victory Day in Russia and the former Soviet republics. During the marches, people carry photographs of their ancestors who participated in the war. First Moldova's Immortal Regiment marches took place in 2015. "On May 9, all together we will go out in the center of Chisinau to participate in a Victory March — 'Immortal Regiment…' I am sure that dozens of thousands will participate," Dodon said at a press conference. He added that representatives of civil society groups, non-governmental organizations, as well as veterans would participate in the commemorating event.